There is no denying that the young man involved did a very stupid thing and I am not trying to condone what he did. 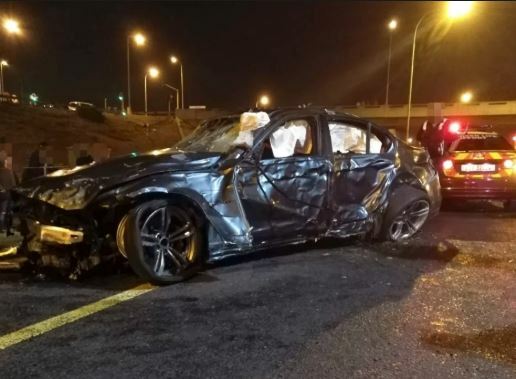 In the early hours of Monday morning a week ago, the internet and social media exploded when cellphone footage was posted showing a black BMW M3 having an horrendous crash while street racing against a motorbike on a Cape Town freeway. The keyboard warriors and freelance accident reconstruction experts all climbed into the incident like people in snowflake covered glass houses do these days. The authorities have been asked to clamp down mercilessly on street racers and the death penalty must be reinstated. While thankfully he didn’t hurt any other road users on the night, innocent people who were nowhere near the scene did get hurt. His wife, two small kids, and his parents, all have to live with his mistake too. He, himself, will pay a hefty price, as he has a long path ahead of him in terms of healing and rehabilitation after he lost both his legs. And this is on top of the financial implications and legal charges he should face in the coming months. But if we had the same headline news and reaction to the non-street racers, who kill scores of people through their reckless and negligent driving every day, then I believe we would actually be beginning to see that although speed can kill, it’s the blatant disregard for basic road rules that is far deadlier. Just ask the Germans, they have the autobahn, which I have driven numerous times, where weather and traffic dependent, the speed limit is completely unrestricted. Yet they don’t kill almost 40 people every day like we do on our speed trap infested roads in South Africa. Our authorities gather almost all their revenue from lucrative speed trapping alone, while they seem to ignore the very serious role that moving violations play in the grim death toll numbers we see. As a society, we hardly even bat an eye anymore when seven, eight or ten people die at a time in the likes of a head on collision or a roll over on a dead straight road. But I guess that is the name of the game today in a like and a click bait type world. Ironically less than two weeks later, not a trace of this incident is popping up on my social media feeds anymore.